The entire team at the ibis budget Toulon Centre hotel welcomes you. Enjoy a great night's sleep in the heart of the city center, stroll through Toulon and board the boat to Corsica, the dock is just a 3-minute walk away! 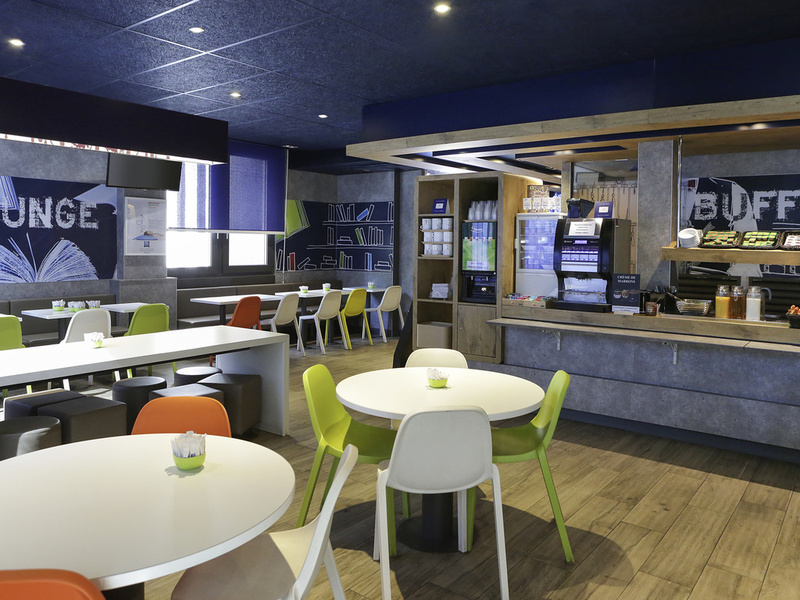 In the heart of the city center, the ibis budget Toulon hotel is located just 437 yards (400 m) from the port with ferries to Corsica and 328 yards (300 m) from Mayol stadium. Our recently renovated hotel has 133 air-conditioned rooms for up to 4 people, 3 modular meeting rooms for up to 90 people and free WIFI throughout the hotel. Take advantage of our great-value unlimited buffet breakfast! A gym open from 6.30 a.m. to 8.30 p.m. Simple, basic, effective, comfortable, no frills budget hotel. Can't ask for more. 4 rooms booked for 3 nights, very clean, great shower, quiet area, cannot fault hotel and staff, great stay. We decided to leave the hotel after one night....two nights have been left. Perfect for early sailings from Toulon with secure parking (free for motorbikes!) and handy for town/port restaurants. Very helpful staff also. Overall our five day stay at this hotel was very good, it is well positioned with just a short walk to the center of Toulon. The rooms were basic as you would expect, well proportioned, clean with air conditioning, a good continental breakfast was on offer for a small supplement. The room is simple. Maybe too simple. The cleaning is satisfactory. The sleeping quality is nice. The breakfast is too simple, but for the price you wouldn't ask for more. The hotel was noisy until after 2am. A large group of school children arrived. Their rooms were not next to each other so they spent several hours running between them screaming. A lady two rooms away allowed her child who could not sleep to play with his cars in the corridor outside our room. Our first room was so smoky we had to be moved. The bed was uncomfortable. It was not clear how much the parking would be as we thought because we were in a marked area the price was different. Great location for town centre, market, harbour and rugby club. Rooms are functional and clean. Good value for money. But as the name suggests this is not a luxury hotel. However we were pleased with oùr stay. Our over all experience was good. We have stayed here before. The location is very good and it is very near the port and many restaurants. When I went to check out the breakfast buffet, I was immediately thrown out. Nice compact room, very good location. Staff excellant. Good breakfast. Excellant location to watch Toulon Rugby. Exactly as I expected. Clean, functional room. Lift and reception area tidy. Staff helpful. This is a budget hotel, with 5-star expectation! Ideally situated for the port, and for the rugby stadium. For the shopaholic there is a shopping mall next door too! Helpful, friendly staff - hotel close to rugby ground and town. Comfortable, clean room overlooking the rugby ground. Convenient (paying) parking close by. Good value for money in the heart of Toulon. Staff were friendly and helpful. Room was spacious and basic but comfortable. Ideal central location for visiting Toulon. Good hotel, good welcome but was spoiled on checkout when I tried to pay for parking. Was told I had to go to the machines with the card. I did and got charged 27 euros instead on the 11 euros according to the hotel price notification. As I was in a hurry to catch a flight in Marseille I did not go back to hotel reception to query this. I disappointing end to a good weekend. Bit of a way out from the town centre for the beach.Car parking expensive even with Ibis deal.However lovely Saturday market and great meals both nights.The old town is being upgraded for arts/crafts but bit noisy now.